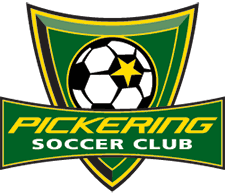 The Pickering Soccer Club has been involved with the development of youth soccer in the City of Pickering for many years. We are an organization that promoted the drive for excellence both on and off the field of play. The PSC Academic Scholarship Award Program has been created so that we may recognize those young men and women who have made significant contributions to their community, their school, and the Pickering Soccer Club. We would like to acknowledge those individuals who best exemplify the spirit of fair play, who possess the ability to balance both academic and athletic success, and who display leadership skills in the pursuit of personal excellence. The Pickering Soccer Club is initiating a scholarship program to assist eligible players who are pursuing post-secondary education. 1. There will be four (4) scholarships offered annually - two male, two female - not to exceed a total expenditure of four thousand dollars ($4000). 2. Each scholarship will not exceed one thousand dollars ($1000). 3. Two (2) scholarships will be awarded to competitive players; one (1) female and one (1) male. 4. Two (2) scholarships will be awarded to house league players; one (1) female and one (1) male. 1. A resident of Durham Region. 2. A candidate that has played for the Pickering Soccer Club for a minimum of seven (7) years. 3. A student enrolled in Grade 12 (or equivalent) and graduating during the current season. 4. A student who maintains a minimum average of seventy-five percent (75%) during both Grade 12 semesters. 5. A candidate that has best exemplified the aforementioned qualities of fair play, academic and athletic excellence, and leadership skills both on and off the field. 6. A candidate that has been accepted at a recognized Canadian College or University. 7. A candidate that has done community service work within the Pickering Soccer Club. The Scholarship Award will be paid in two equal installments; at the start of the first term and at the start of the second term. Candidates must obtain a minimum GPA of 2.5 for the first semester and must provide proof of continued studies prior to receiving the second installment. Applicants must submit a completed application accompanied with a letter of recommendation to the Pickering Soccer Club. If a candidate fulfills the qualifications of the Pickering Soccer Club Scholarship Program, their respective applications will be reviewed by an executive committee panel and four award recipients (two male and two female) will be chosen. The awards will be presented at the annual AGM. The deadline for submission is September 1st of each season. The scholarship program will be reviewed annually and the Pickering Soccer Club reserves the right to make any necessary adjustments based on the budgetary considerations. List extracurricular school/soccer activities in which you have participated and specify the nature of your involvement in each. Write a short essay (approximately 500 words to be written or attached below) that explains the reasons you are applying for this award. Briefly describe yourself and why you feel you should be considered to receive this award. State your role in the community service program within the PSC. Include some learning experiences that you have garnered from this program. This application, with supporting documentation, is the primary basis upon which decisions are made. I hereby certify that all the information provided on this application form and in all the documents accompanying it are true, accurate, and complete. I authorize the release of any information to the PSC Scholarship Program relating to my application, which it may request from high school, university, the government, or community sources; including but not limited to personal evaluations and transcripts. I understand the information resulting from such a request will be used for Scholarship purposes, which may include publicity or promotion.